Classic Rock Here And Now: Dave Edmunds Interview: Rockabilly Guitar Hero Releases Brilliant New Album! 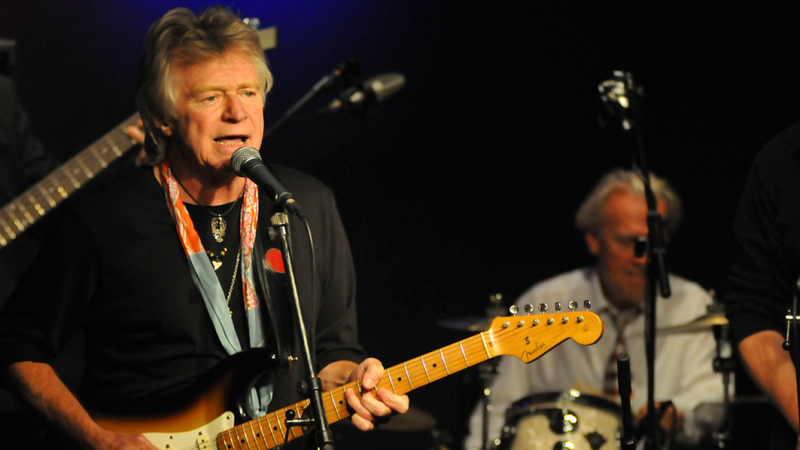 Guitar hero DAVE EDMUNDS has never followed music trends, and throughout what Edmunds jokingly remarks as a “semi-retired” music career, has probably been more devout and grateful to the original rock and roll format than any other musician. Edmunds recently released his new album entitled ‘Rags & Classics’ via the MVD Entertainment Group. 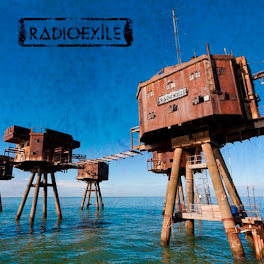 It’s an all-instrumental masterpiece that displays Edmunds’ proficient guitar work along with his brilliant multi-instrumental and production skills. 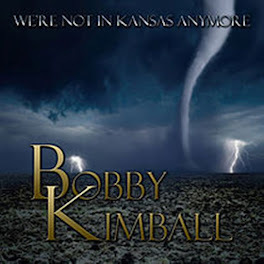 Recorded in his home studio, most of the cover tracks on the new album have never been performed as an instrumental and are extremely difficult to implement as a one man band. I really enjoyed ‘Rags & Classics,’ Edmunds did a remarkable job handpicking singles that are classics but rarely relished. Some of the more notable tracks are the Brian Wilson &Tony Asher “God Only Knows,” and the Elton John &Bernie Taupin ballad “Your Song,” Both tracks are remarkable instrumental renditions while acquainting the listener to a fresh prospective to an ageless classic. ‘Rags & Classics’ delivers an eclectic mix of captivating musical gratification … you’ll be delightfully swayed by Edmunds’ intricate instrumental renderings of Mason Williams’ “Classical Gas,” Procol Harum’s “A Whiter Shade of Pale,” tracks from Dave’s guitar heroes … Chet Atkins “Black Mountain Rag,” and Merle Travis “Cannonball Rag,” and a surprisingly but phenomenal finale to an exceptional album, Mozart’s Symphony No.40 in G Minor, Molto Allegro. 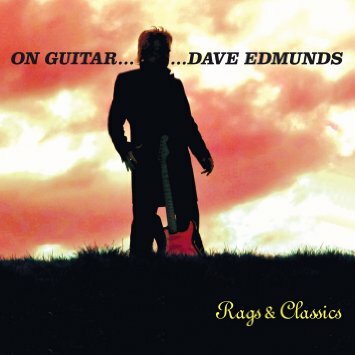 Everyone will truly enjoy ‘Rags & Classics’ by guitar legend Dave Edmunds. ... (5) Stars! 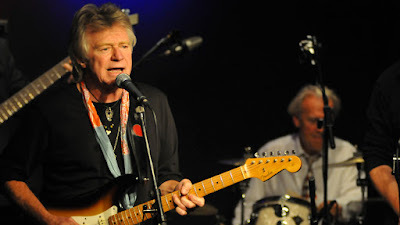 DAVE EDMUNDS, Welsh guitarist, singer, songwriter and producer has collaborated with some of the greatest musicians the world will ever know, including longtime pal George Harrison. Edmunds is a 1950’s rock and roll purist and remains a loyalist to this day. “I Hear You Knocking” (1970), a song written by Dave Bartholomew & Earl King and first recorded by Smiley Lewis in 1955. Edmunds’ rendition added authentic rock and roll dynamism and landed at #1 at Christmas on the UK charts and #4 on Billboard’s Hot 100 in the U.S. 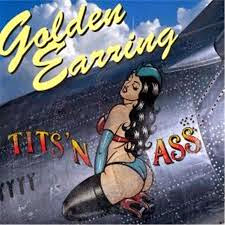 It sold over three-million copies, was awarded a gold disc, and became a rock and roll standard worldwide. 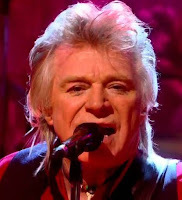 Between 1976 and 1981, Dave Edmunds released four albums on Led Zeppelin’s Swan Song Records. After Edmunds and Lowe went their separate ways, Edmunds collaborated and produced albums for an assortment of friends and musicians including … Paul McCartney, King Kurt, Stray Cats, Fabulous Thunderbirds, Status Quo, the Everly Brothers, Johnny Cash, and the Flamin’ Groovies. Edmunds also collaborated with singer, songwriter, composer, arranger, multi-instrumentalist and record producer Jeff Lynne of the Electric Light Orchestra. Edmunds released a song written by Lynne entitled “Slipping Away” which became a Top 40 hit in 1983. In 1985, Edmunds arranged and became the musical director of Blue Suede Shoes: A Rockabilly Session, a televised concert held in London, England, featuring … Edmunds, Carl Perkins George Harrison, Ringo Starr and Eric Clapton. It was the first public performance by George Harrison in more than ten years. Dave Edmunds was selected to play in Ringo Starr’s All-Starr Band for tours in 1992 and 2000. I had the rare pleasure of chatting with David Edmunds recently about his new all- instrumental cover album ‘Rags & Classics,’ the inception of “I Hear You Knocking,” Rockpile, Nick Lowe, Carl Perkins, George Harrison, my infamous ‘Field of Dreams’ question and much-much more! Ray Shasho: Hello Dave! First of all, thank you for staying true to rock and roll. With all the changes in the music industry over the years, you remained loyal and I commend you for that. Ray Shasho: Your new album entitled ‘Rags & Classics’ is your very first instrumental release. 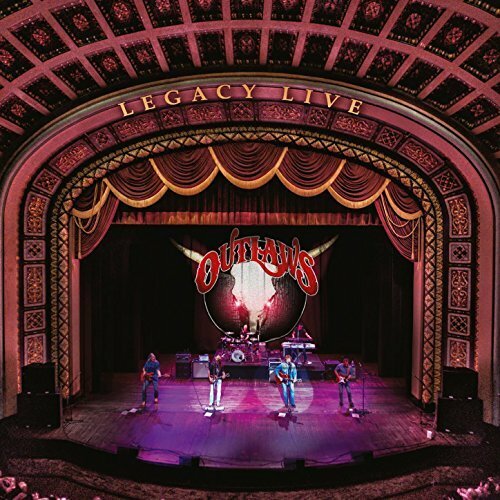 It’s an incredible mix of classics recorded instrumentally while spotlighting your proficient guitar playing as well as your multi-instrumentalist skills. 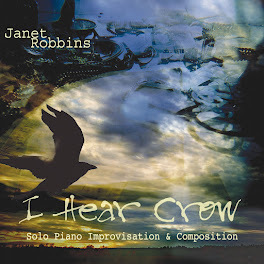 It’s an impressive recording that everyone should enjoy listening to over and over again. Ray Shasho: Dave, the mix of music you chose for this album is just perfect. I really enjoyed your version of “God Only Knows” the Beach Boys classic. I don’t think I’ve ever heard an all-instrumental track covering that tune. Ray Shasho: Your cover of Elton John’s “Your Song” was also brilliant! 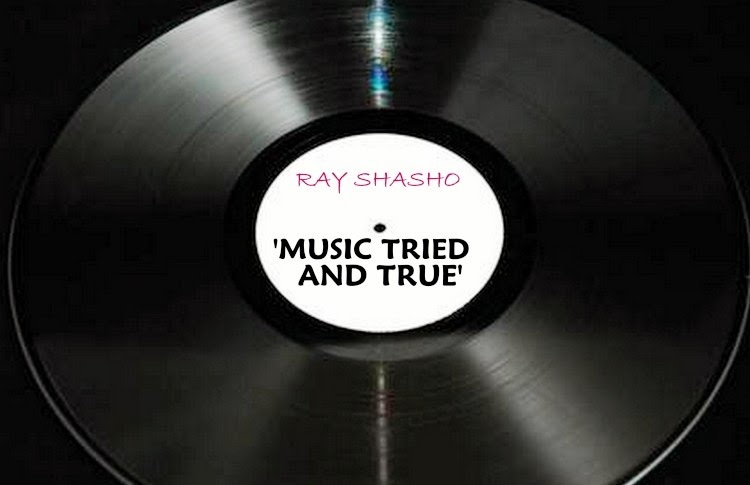 Ray Shasho: On the next track you come in with “Black Mountain Rag” á la Chet Atkins. Your guitar playing almost sounded like you were playing a 12-string. 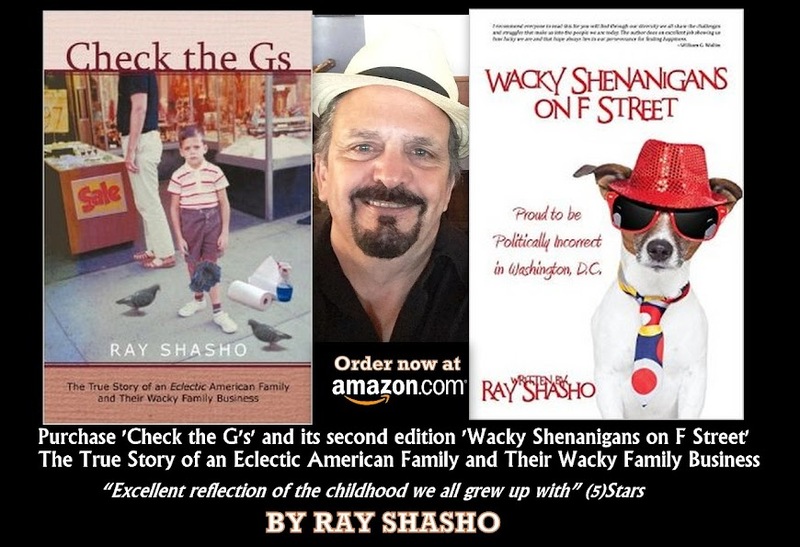 Ray Shasho: Another great track on ‘Rags & Classics’ is a song dear to my heart, and that is Mason Williams’ “Classical Gas.” I used to sign-off my radio show with that song every night when I worked as a deejay. Ray Shasho: The final track on the new album is a surprising finale … Symphony No. 40 in G Minor, Molto Allegro (Mozart). Ray Shasho: Dave, the last time I saw you perform was with Ringo Starr & His All-Starr Band. 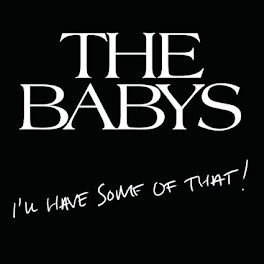 I know you played in the band several times but this particular lineup featured … You, Timmy Cappello, Burton Cummings, Nils Lofgren, Todd Rundgren, Timothy B. Schmidt, Zak Starkey and Joe Walsh. Just a great show! 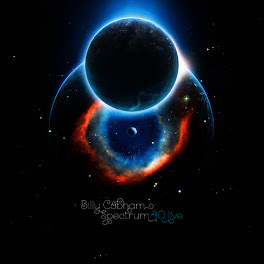 You were semi-retired for a while, are you going to be coming back full-throttle with the release of this new album? Ray Shasho: Who were some of the early guitarists that inspired you to pick up a guitar? Ray Shasho: “Do you ever talk with Nick Lowe? 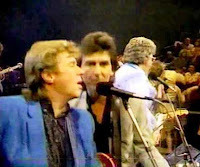 Ray Shasho: In 1986, you participated in Carl Perkins's Rockabilly Session television special with George Harrison, Ringo Starr and Eric Clapton. …Great program! Ray Shasho: What was George Harrison like? Ray Shasho: Dave here’s a question that I ask everyone that I interview. If you had a ‘Field of Dreams’ wish like the movie, to perform or collaborate with anyone from the past or present, who would that be? 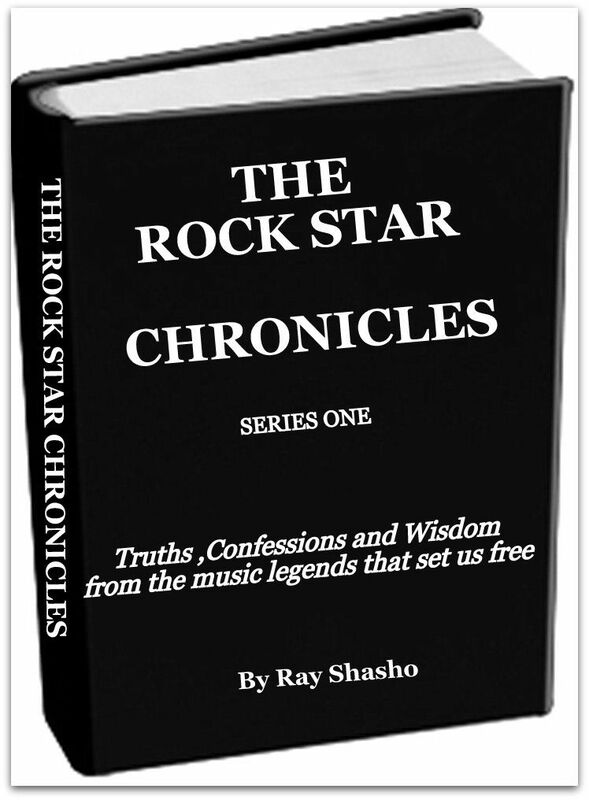 Ray Shasho: Dave thank you so much for being on the call today and for all the great rock and roll you’ve given us all these years and continue to bring! You’ll be delightfully swayed by Edmunds’ intricate instrumental renderings. 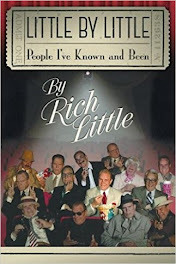 -Purchase your copy at Amazon.com … (5) Stars all the way! 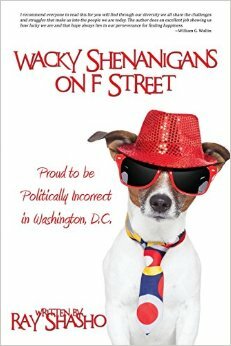 Very special thanks to Chip Ruggieri of Chipster PR & Consulting, Inc.
You can purchase Ray Shasho’s latest novel Wacky Shenanigans on F Street –Proud to be Politically Incorrect in Washington D.C. -available at amazon.com or barnesandnoble.com- Please support Ray by purchasing his book so he may continue to bring you quality classic rock music reporting. Watch for the Kickstarter campaign very soon!